Freedom is in. Surrender is out. We want direct connection with God, Whom we struggle to obey when we receive that direction, and if we are going to struggle obeying God, we are really going to struggle following human leaders. Is it any wonder why we preach and sing about freedom, forgiveness, and grace instead of surrender and submission to God’s will. Even, the songs about following God’s will for our lives put the emphasis on it being our decision. We want God to be in control, but we really would prefer God to control things according to our desires – and that comes awfully close to idolatry. God, in His wisdom, has put others in charge of us though, and He works through them, in them, and sometimes around and in spite of them. Whether it is because He knows we need a reminder of His authority that wears skin every once in awhile so we do not doubt or forget Him, or because the interconnectedness and hierarchy we find ourselves in is a vital part of creation, I do not know. God probably does it for a reason I may never understand. But it is undebateable: God has put human authorities in our lives, and scripture specifically tells us it is our Christian duty to submit to it. Yes, even when I did not vote for them. It is hard to swallow sometimes. It can be hard to see God working in them as well. If I’m honest though, I personally do not struggle with this the most in the political realm. Politics have more of an indirect affect on me personally, and I have seen enough of the system to know it is complex and difficult to really pin problems down as the decisions of individual people. The chains of compromise are far too long. Instead, I often struggle with it professionally – in church, and specifically in worship. If you ask me what I think about worship or what kind of worship I like, do not expect a single statement as an answer, expect a five page thesis. I have many strong opinions based on education and experience, both good and bad. When I plan worship services, I think about them as they spread out over weeks and months, not just the 60 minutes we have together on a given day. I try to look at it from multiple angles, and, while I usually can let it all go with gratitude to God when it is all finished, I rarely am completely satisfied with my work. I always find something new to learn, to change, or remind myself not to try next time. My struggle with authority comes in the few times a year that I visit other churches or worship in settings I am not responsible for leading. Within the first five minutes of walking into the door, my mind starts picking apart every detail of the service and those balcony critics in my head begin to go to town. It gets even worse when the sermon starts. There are times, I’ll be honest, when the critics are far louder to me than the preacher speaking into the microphone. Those moments, I am not submitting to the authority that God has put before me for that time (and if we really think about it, every human authority is temporary), and it keeps me from really worshipping – really experiencing and returning to God what He is due. We all have problems with the failing, fragile human leaders God has put in our lives. But the challenges of our worship are not controlled by them. 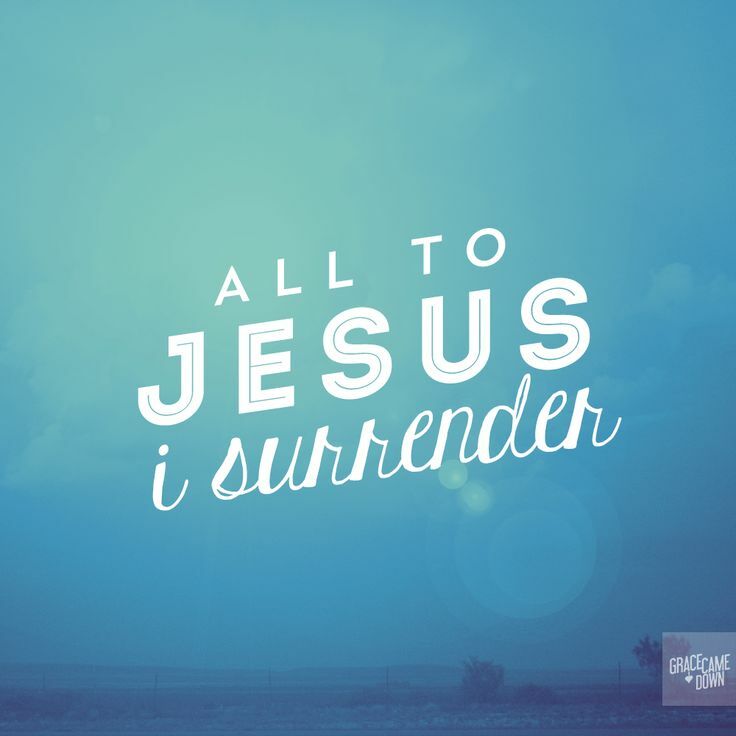 The surrender that we are able to give is a vessel of grace that sometimes needs to flow out of us, up into our leaders, instead of us always expecting them to give grace to us. When the flow of grace is stopped up, worship ends, and we all end up stuck in the mess, looking for God again. What makes it difficult for you to worship? How do you allow God’s grace to flow from you into those who help lead you in worship?